Please notice that this video is from 2014 and completely outdated. 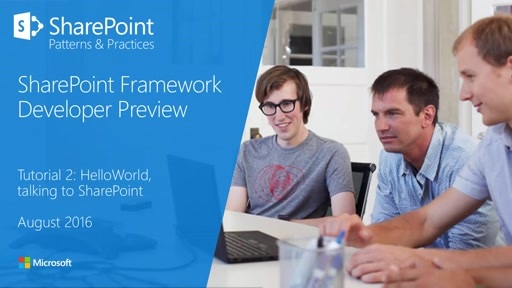 We do recommend using SharePoint Framework as the extensibility model for SharePoint where possible. Please see the official documentation for more details at http://aka.ms/spdev-docs. 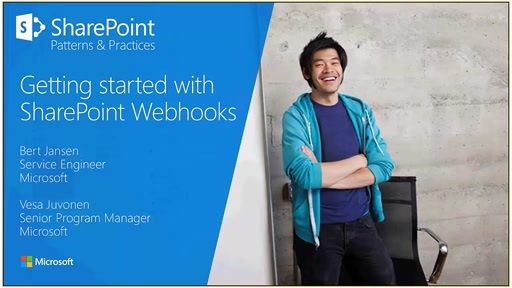 @Ramkumar:Yes, if you are using modern SharePoint UIs and need to have a custom header or footer. In that case SharePoint Framework would be the right solution. @sganta: That capability was publicly announced in SharePoint Summit 2017. See following video for more detailed - https://youtu.be/2i0oYR9s608?list=PLXtHYVsvn_b-7onG7XS6HN7v9XlVEFvJL&t=270. Thanks latimoreb for the feedback. 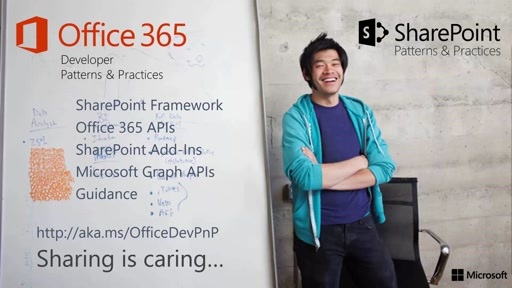 Purpose of these videos is to show what you can do right now in the Office 365 and completely agree that the model is not optimal from consumption perspective. There are significant changes planned on many areas in the Office 365, but right now this model of using alternate CSS adding with code, usually during site provisioning, is one of the models which can be used for applying branding. These videos are showing different options currently available in Office 365 and we'll certainly update the videos when the capabilities will change to certain direction. Here's link to a sample code, which is pretty much exactly what I showed in the recording. Slightly evolved, but key pieces are exactly the same. You might also be interested on seeing slightly more advance scenarios and also how the Provisioning engine is used from PowerShell. If that's the case, please check following video from PnP Channel 9 section. 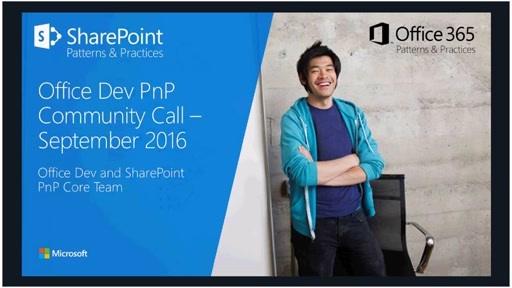 If there's any questions around the topics covered, please use the Office Dev PnP Yammer group at https://aka.ms/OfficeDevPnPYammer. If you have any feedback or comments related on the videos or generally PnP, please use the Office 365 Developer Patterns and Practices Yammer group to start discussion with other community members and with the PnP core team.